A veteran of the transportation industry where he served as President and CEO of the American Trucking Association (ATA) for 14 years, Bill Graves also served two terms as the Governor of Kansas. "As we continue to expand our technology and services in the ecosystem of carriers, independent contractors and benefits providers in the transportation sector, Governor Graves’ leadership and policy experience will be invaluable,” said Drake Pruitt, CEO at Openforce. Openforce®, builder of the leading platform for compliance, payment and risk management services to the on-demand workforce, today announced it has appointed Bill Graves to the Company’s Board of Directors. 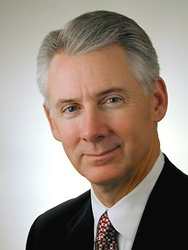 A veteran of the transportation industry where he served as President and CEO of the American Trucking Association (ATA) for 14 years, Graves also served two terms as the Governor of Kansas and brings valuable leadership experience and transportation domain expertise to the Openforce Board of Directors. From January 2003 through June 2016, Graves served as President and Chief Executive Officer of the ATA, the national trade and safety organization of the United States trucking industry. Representing an industry that delivers nearly 70 percent of the nation’s freight, under Graves leadership the ATA developed numerous initiatives designed to improve truck safety and the safety of those with whom they share the road. ATA also adopted a number of proposals for improved environmental stewardship and advocated for an increase in the federal fuel tax in order to sustain a strong Federal role in funding maintenance and new construction of the nations highway infrastructure. Previously, Graves served as Governor of the State of Kansas from January 1995 to 2003. As governor, he enacted significant business and individual tax cuts, re-structured governance of higher education, privatized many social service programs, and signed into law an historic 10-year, $13-billion comprehensive transportation program improving highways, railroad infrastructure, airports, and public transit service. In January 2003, Graves completed his second term as governor of Kansas, capping 22 years of service to the state. Additionally, for almost 70 years, members of the Graves family were involved in the trucking industry and operated fleets including Graves Truck Line. Graves earned a Bachelor’s Degree in Business Administration from Kansas Wesleyan University in his hometown of Salina and attended graduate school at the University of Kansas. He lives in Northern Virginia with his wife Linda and daughter Katie. Openforce® is the leader in technology-driven services that reduce operating costs and mitigate compliance risk for companies using independent contractors. Openforce frees contracting companies from the burden of onboarding, contracting, and settlement processing, while helping contractors build their business. Our cloud-based applications help businesses achieve more sustainable, profitable growth by removing financial, operational, and compliance barriers to getting business done. Openforce is a portfolio company of Boston-based private equity firm Riverside Partners. Learn more at http://www.oforce.com. Openforce is the leader in technology-driven services that reduce the cost to onboard, pay, and properly contract with independent contractors.Learn more at www.oforce.com.